Hunter's Star Top - Finished! Man, I am glad to have this done. 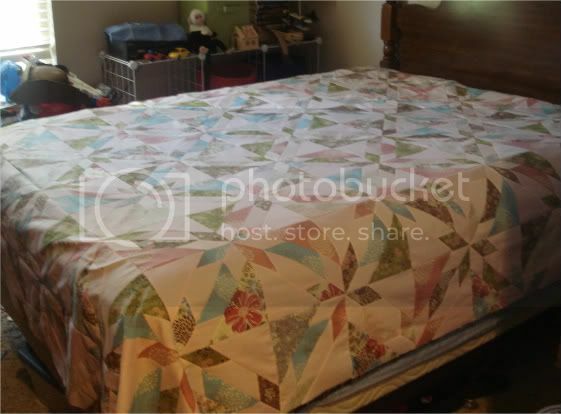 What started as a test block for my sister grew into a queen size quilt - 80x88". There were a lot of bias edges, but the effect is totally worth it. 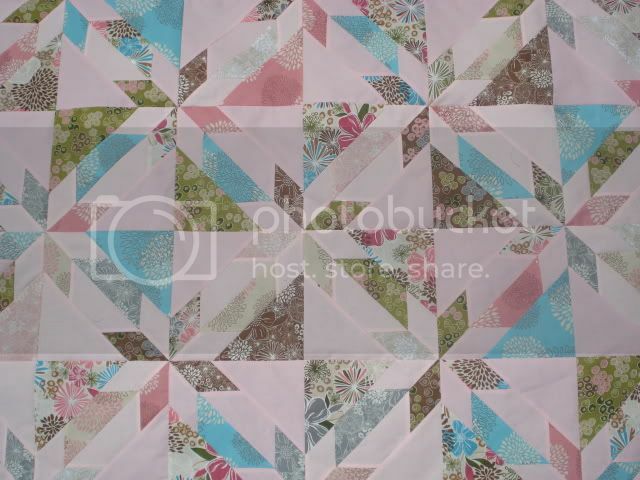 I used Deb Tucker's Hunter's Star Ruler - if you're going to make this, I recommend it. The instructions are very clear and the ruler is well marked. 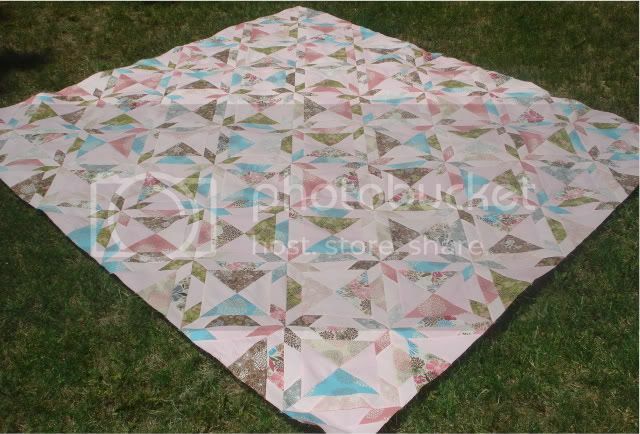 The instructions called for 7-8" squares to make the half triangles - I found that 7" still had over 1/2" trimmed off in the end. I ended up using 6.75" - that gave me enough wiggle room with the least waste. And oh boy, the waste. Well, not really. Just leftovers. I bought 8.75 yards to make this size. 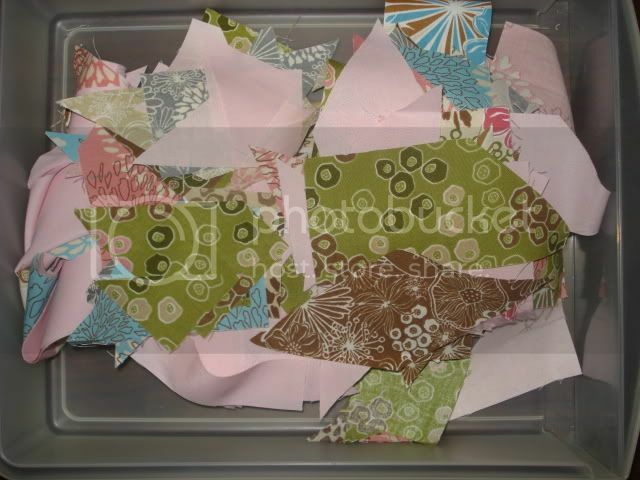 I guesstimate I have about 2 yards leftover from cutting, mostly in chisels, diamonds and triangles. Luckily, Paulette from Sweet P Quilting obviously knew of my plight when she posted about chisels last week. So I've got some ideas. And now I just have to figure out how to quilt it. And then start on my sister's king size. Eek. 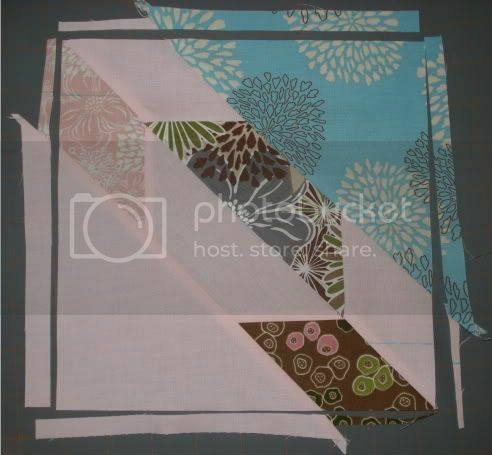 Linked to Fabric Tuesday - see what others are creating!